I’m using Solidworks as CAD program. I tried to move my wing depending on the distance between the right plane of the car and that of the wing but, after the merge, I’ve always found again my wing in the centre of the car. So I thought that there’s a problem in the merge file because it doesn’t move the planes. Now I don’t know how to solve this problem. So I hope that you can help me and the other guys that have my same problem. 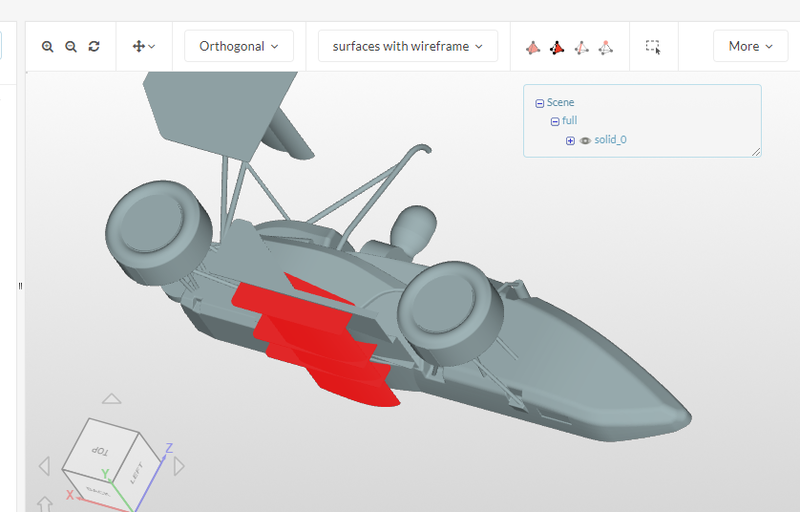 Here, after duplicating how can I remove the existing front wing and add my own front wing? my frontwing is really much to big but in in the reference geometrie it was good. I dont know what i do wrong. Have you clicked on the Do not translate STL output data to positive space option when exporting the file inside SolidWorks? Can you share the geometry with me via mail or Onshape? Sending you my mail via pm. You can change the domain as depicted in the picture. Might be that your frontwing is scaled too big. Make sure you scale it down with 0.1 or 0.01. If you do not know how to do it with OpenFOAM or your CAD software upload your front wing to SimScale and use the scaling operation. I can’t import STL model of the car into simulation, but in Inventor and Windows 3D Builder everything is working and looking right. Share the project with me please. 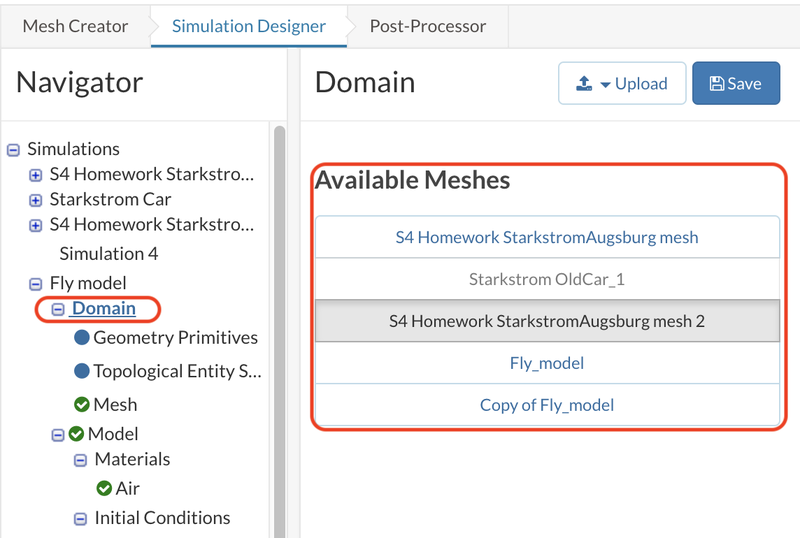 You can see your model in the Mesh Creator, right? Will have a look at it. 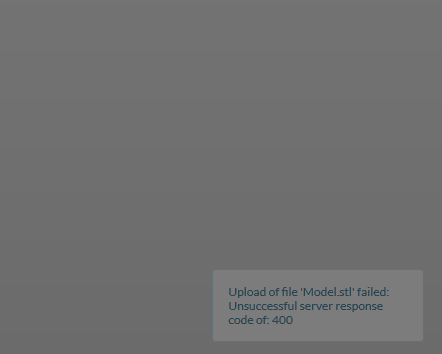 No I can’t see it, there is some kind of pop-up window when uploading is finished, but it pops-up for less than a second, so I have no idea what is there. 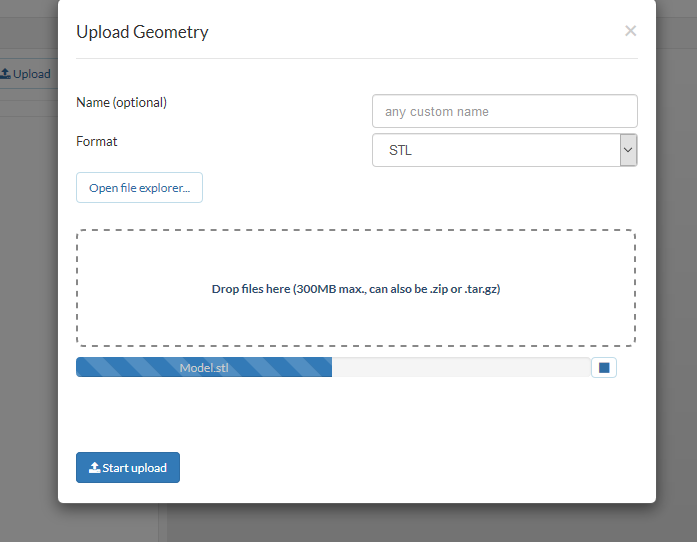 If it shows the message that it successfully imported the geometry there is nothing you have to worry about. You can close the import tab then and have a look inside your project. The geometry will be there. Interesting @lspyt . Will send you my mail address and try it myself. But I am still stuck over merging STL files. I use CATIA for assembly. If you could provide STP file of car instead of STL, it would be of great help. Here the front wing and the car are both at origin. I tried arranging this in 3D builder and using notepad editing. Theses methods did not work. Thus, if I get STP file, I can solve this in CATIA. Sorry for not responding sooner, but I was out of town. I used Onshape for the modification and imported using the Powershell script which resulted in the wing not having the proper position. See Diego, because he was going to look into it for me.